Newham Grange Farm is a unique and extremely popular attraction for the whole family as well as school groups. The farm also holds regular holiday events and activities. The museum also holds regular holiday events nad activites. View the website to find out what is on. 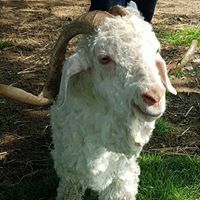 There are many things to see and do at the farm, from the wide range of breeds of cattle, pigs and sheep along with the usual farm animals including rabbits, goats, ponies, donkeys, poultry and waterfowl, to the play and picnic area, willow maze, petting area and mini tractors. The farm also has a cafe and the farm shop. The farm provides access for disabled people in most areas, and a disabled toilet and baby changing facilities are also available. The one mile loop path around the outside of the farm is excellent for cycling, running or walking and is well connected to Middlesbrough by a series of footpaths and cycle routes. We're planning big changes, including a new indoor play barn, an expanded petting area, the development of wildlife trails, and the restoration of the old farmhouse as an education centre. We're also going to make the visitor experience even better with a new welcome centre including a café and farm shop, and improved car and coach parking. For more information and opening times go to their website.